Warung Wahaha ~ Is This The Best Pork Ribs in Bali? It has been a couple of years since I had a beach vacation, last being in Phuket. Not that I don't like sunshine, but it's the damaging UV rays which causes skin photo-aging which scares me off. So when my friends suggested a weekend getaway in Bali, the first thing I thought of was not its beaches, but... "Woohoo! All the delicious food in Bali, here I come!"... Muahaha!!! Babi Guling (Balinese suckling pig)! Bebek Bengil's Crispy Duck! Pork Ribs! I want all of you in my tummy! Having tried only the special limited edition Nespresso Crealto-Infused Caramel Sundae by top Chef Bruno Ménard previously, it was only a matter of time before I return to La Cantine for a more complete taste of his modern interpretations on French classics. 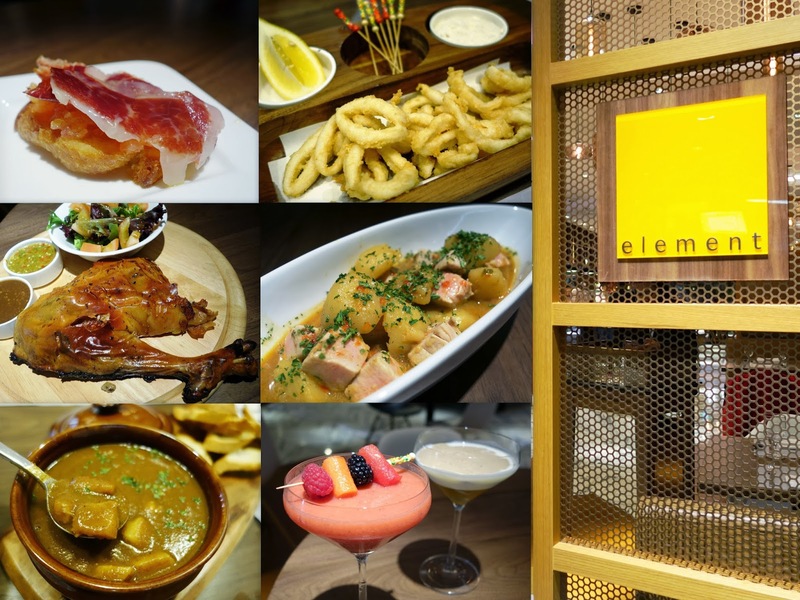 La Cantine at Asia Square is a collaboration between Chef Bruno (formerly from 3-Michelin star French restaurant, L'Osier in Tokyo) and Deliciae Hospitality Management (which also owns eight other restaurants including L’Entrecôte and Forlino), making him the first 3-Michelin star chef to be based permanently in Singapore since 2012. Gyoza-Ya @ Robinsons Orchard ~ Tasty & Juicy Japanese-style Dumplings! The reason for my recent visit to the newly-launched Robinsons Orchard @ The Heeren was not to indulge in retail therapy, but to check out the latest restaurant under Akashi group, Gyoza-Ya! Located at basement level of the department store alongside some stylish but expensive homeware collection (we saw a $6000 price tag?? ), the pricing for a meal of Japanese-style dumplings at this casual dining establishment is fortunately much easier to swallow. Plain Vanilla Bakery @ Tiong Bahru ~ Best Cupcakes In Singapore? Been hearing and reading positive things about Plain Vanilla Bakery since it started operations from a tiny second floor shophouse unit in Holland Village back in 2011. 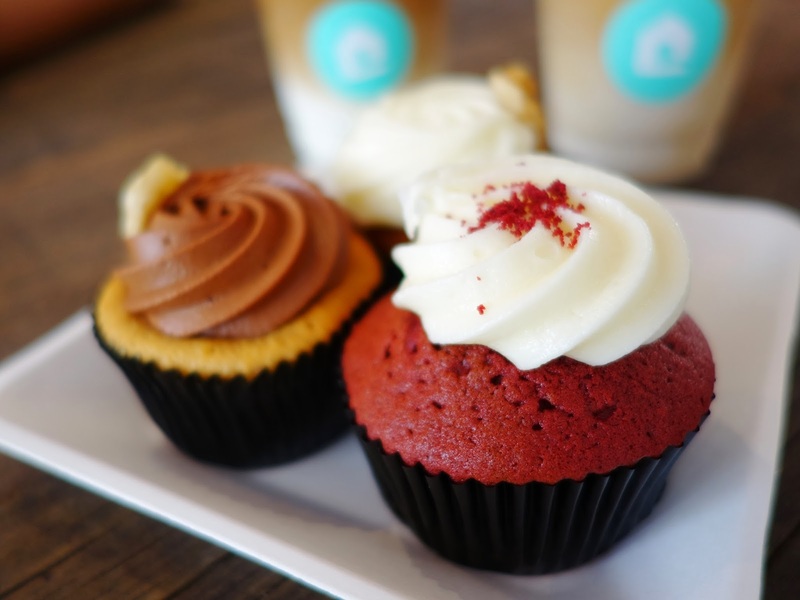 Specializing in cupcakes, many fans lauded their rendition as one of the best, if not the very best in Singapore. The reputation, great as it may be, did not send me scurrying off to try their cupcakes immediately. It was only when Plain Vanilla opened the doors of their cafe in Tiong Bahru's Yong Siak Street that I finally made my way over. Ooh... and I fell in love with the ambience. It's gonna be dinner with the league, and when I asked BFF where is the dinner place and location, he only replied, "that steamboat place directly opposite Hock Lam Beef Noodles, can't remember the name". Wah!!! With such vague directions, I figured it's better to ask my online best friend ~ Google! I was then pointed to Guo Fu Steamboat 国府珍锅 at China Square Central, which is indeed the place BFF was referring to. And I immediately guessed why this place was chosen. Halia at Singapore Botanic Gardens is one of my favorite restaurants! Set amid beautiful lush greenery, it is the perfect place for a romantic dinner, and the impeccable service rendered during previous visits certainly left me with a good impression. So when its sister restaurant, The Halia At Raffles Hotel, opened in one of Singapore's most iconic building in the convenience of town near City Hall mrt, I was keen to check it out too. Truly Curry Rice 真咖喱饭 @ Telok Blangah Drive Food Centre ~ Truly Yummy! When I became a hawker many years back, it was out of necessity. Having experienced for myself how tough this route can be, I agreed straightaway to visit Truly Curry Rice (真咖喱饭) at Telok Blangah Drive Food Centre when I was told that it's run by two young ex-traders (they're only 20+) who gave up their jobs to take over the stall. Wah, very brave! What made them take on this drastic career change? So, to be honest, this visit was made out of initial curiosity. But when I do return again, it will be for the delicious curry rice! Yummy food and passionate hawkers definitely gets my support!